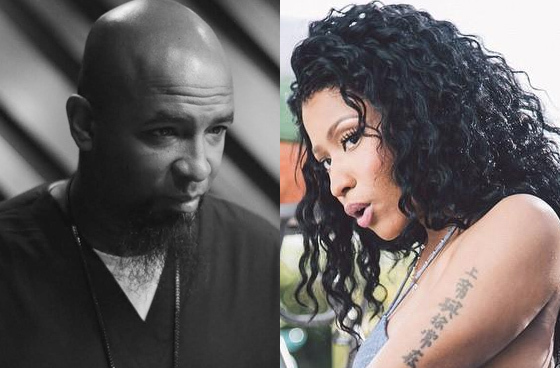 Tech N9ne sits down with AllMusic.com to talk his creative flow, singing karaoke, and even potentially wanting to work with Nicki Minaj. Our Kansas City rapper is known for covering multiple aspects of the music industry, headlining metal festivals and collaborating with some of the biggest artists in rock. He laid it out for AllMusic.com, touching on how his tastes, methods, and lifestyle can all be described in a word: Strange. With his unique collaborations comes a unique thought process of putting together his music. He explains how becoming an artist isn’t simply understanding your flow, but the music altogether: the tempo, rhythm, and an altogether balance with the elements in a song. Having this knowledge, he’s able to work together with a wide variety of musicians and create musical masterpieces across the board. It works in his favor, though, maintaining an impressive repertoire of artists across different musical genres. His love of different types of music can be why he’s also known for singing classic rock karaoke. His creative process differs from the party lifestyles fans may assume he lives on the regular. Taking time to sit down and digest his thoughts, it allows him to explore what direction he wants to go with creating a new song, which can prove to be challenging on tour. I have this thing called “just sit down,” and if I sit down, it will come out. I want to party so much that sometimes I don’t sit down, but when I do sit down, it comes out. You have to humble yourself or whatever, say a prayer or something, get alone and really be alone, in solitude. I can’t write on tour, there’s too much going on. I know my partners wish I would because it would save us a lot of time and we could meet deadline, like we never do for my albums, and I’m not bragging about that. If I could write on tour, I would. Tech also took time to clarify that he does not ghostwrite for fellow artists. Staying true to himself in his lyrics, he mentions how his writing would “sound too much like him.” The one person that could possibly pull it off in his opinion, however, is Nicki Minaj. He even discusses how she could have potentially been on “Worldwide Choppers 2” (now featuring Eminem and Krizz Kaliko), but was set back. I’m scared to ask her for a verse, because of what people say about her, that she says that if you don’t have this many spins on the radio, she don’t wanna talk… I don’t want to go to her too early, I’ve got to get my name up before. I wanted her on “Worldwide Choppers 2,” but I was afraid to send it to her. So I gave it to Eminem, and that’s even bigger. I was like, “No, Nicki doesn’t know me…Wayne knows me, Drake knows me, but Nicki doesn’t know me.” I’ll wait until I get the courage to ask her for something. Tech N9ne continues to stay true to himself and his diverse range of music, exceeding the expectations of every Technician. What other artists would you want to see on “Worldwide Choppers 2”?